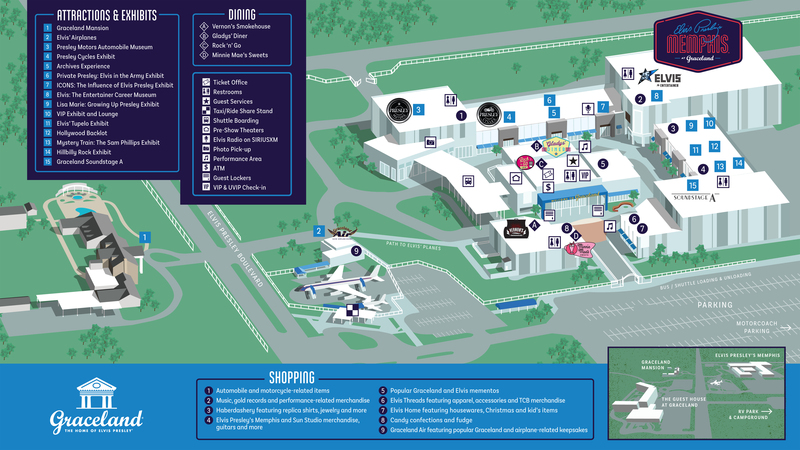 Experience the Graceland of the Skies! 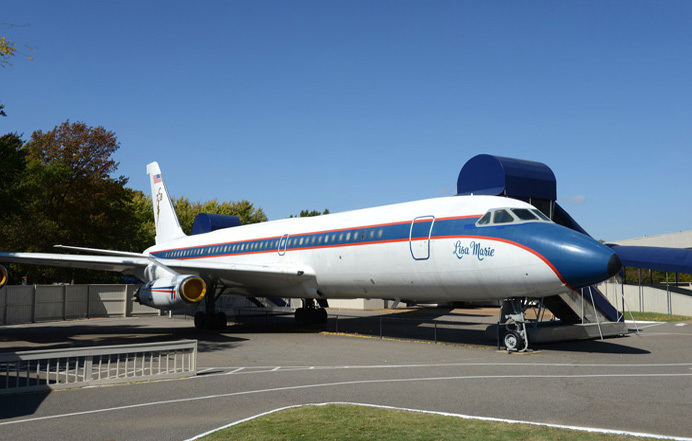 Elvis purchased a 1958 Convair 880 in April 1975 and named it Lisa Marie after his daughter. He spent more than $800,000 having the jet remodeled. Climb aboard this customized jet that features a living room, conference room, sitting room, and private bedroom, as well as gold-plated seat belts, suede chairs, leather covered tables, 24-karat gold-flecked sinks and more. Then, take a peek inside Elvis’ smaller Lockheed Jet Star, customized by Elvis with a yellow and green interior that was primarily used for taking Elvis’ manager and his staff from city to city on his concert tours. Learn more about the jets on the Graceland Blog. Touring Elvis' airplanes can be added to any tour experience! Take a look at our ticket options and plan your visit to Graceland. Elvis Presley's Memphis has so much to offer! From the Mansion and Airplanes, you'll want to discover all the great exhibits with Elvis artifacts, including personal items, jumpsuits, awards, and more!